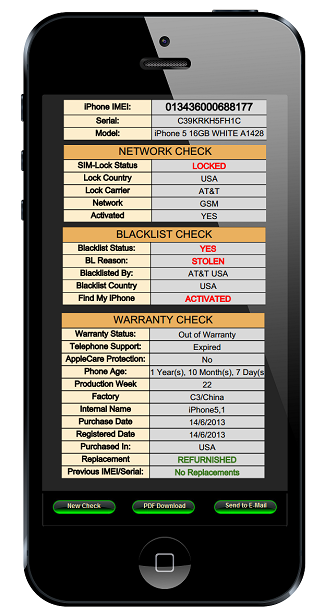 Quickly check if an iPhone is locked, blacklisted, in-contract and under warranty. Reveal all hidden problems with just a tab. Enter the IMEI to find out everything about an iPhone. 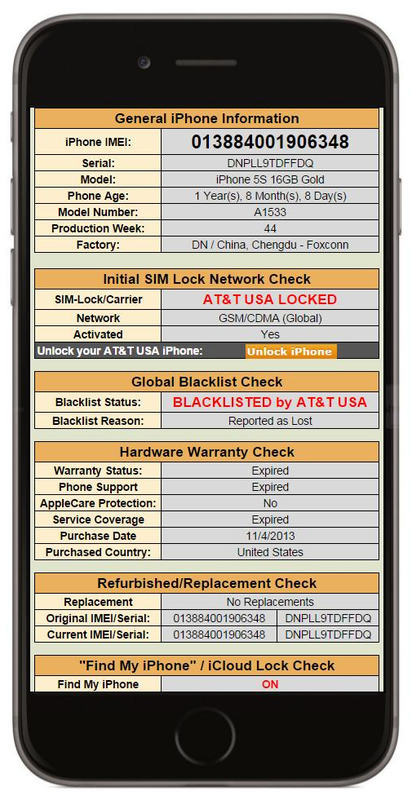 Get your custom IMEI iPhone Status Check Report! Your anonymity is 100% protected. No data is saved. Don’t run the risk of buying a locked or stolen iPhone! and everything else you should know. More than 50+ iPhone IMEI database checks are performed! How will I receive my IMEI report? Our automated IMEI Checker will check your IMEI in all databases, generate the IMEI report and send it to you via email within 5-60 minutes.